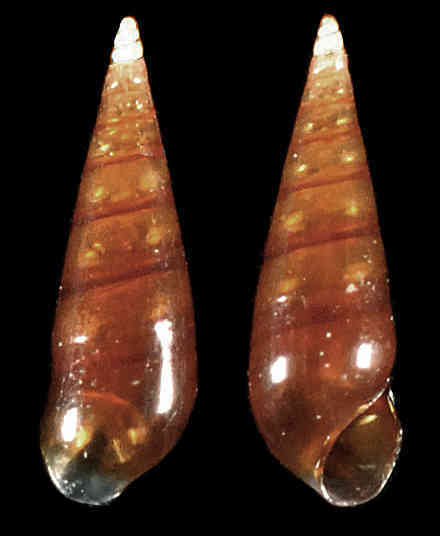 Shell to 5 mm, slender, lanceolate, with gradually increasing diameter. Flat whorls. Fine axial lines visible under high magnification. Uniformly golden-mahogany brown. The type locality for this species is Cedar Keys, on Florida’s Gulf coast. The shell illustrated was collected by Phyllis Sharp on Sanibel in 2014.